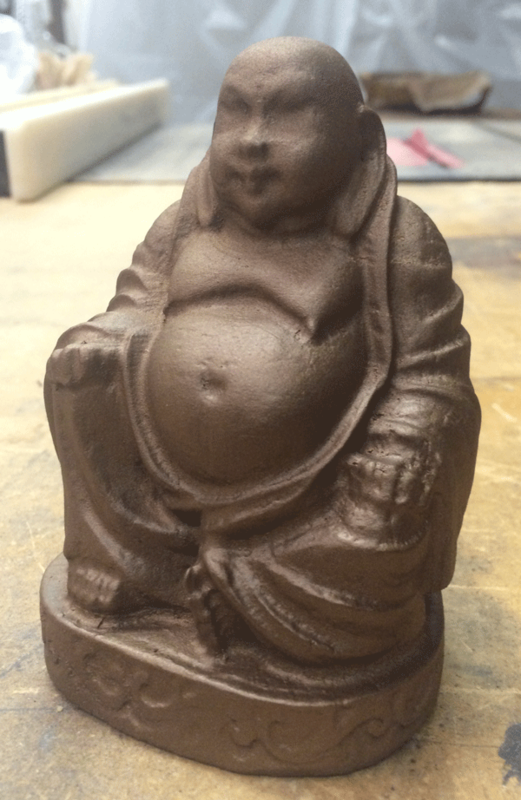 I’ve been busy getting ready for the CarveWright Conference coming up June 26th-28th. There is so much to show off this year that I’ve had a hard time juggling so many projects at once. I am making good progress and have some things I’d like to show off. The new rotary jig has been getting a nice workout. 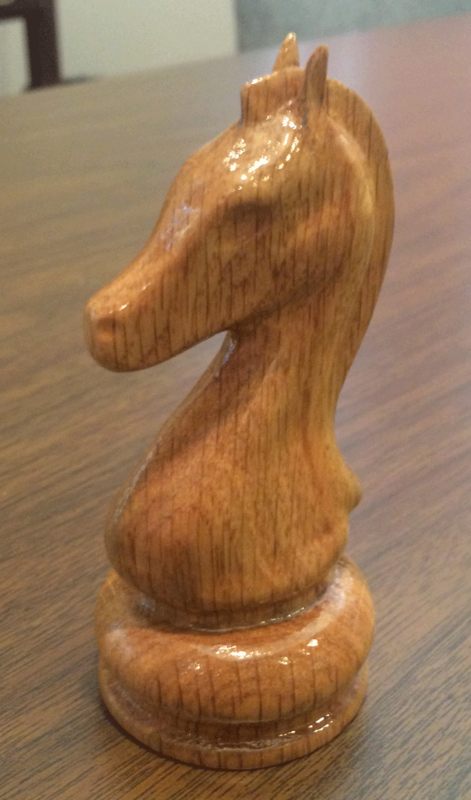 In the tutorial videos I showed some chess pieces as they were coming out of the jig. I have an entire chess set from that, and have been working to finish them. Along with the chess set, there is an entire chess table with a carved skirt, chess board, and legs all created with the CarveWright. It will be a must see featured project at the Conference. There will be an entire blog article on that piece after I debut it at the conference. We’ve been having some fun carving random pieces downloaded from thingiverse.com with the carvewright rotary jig as well. 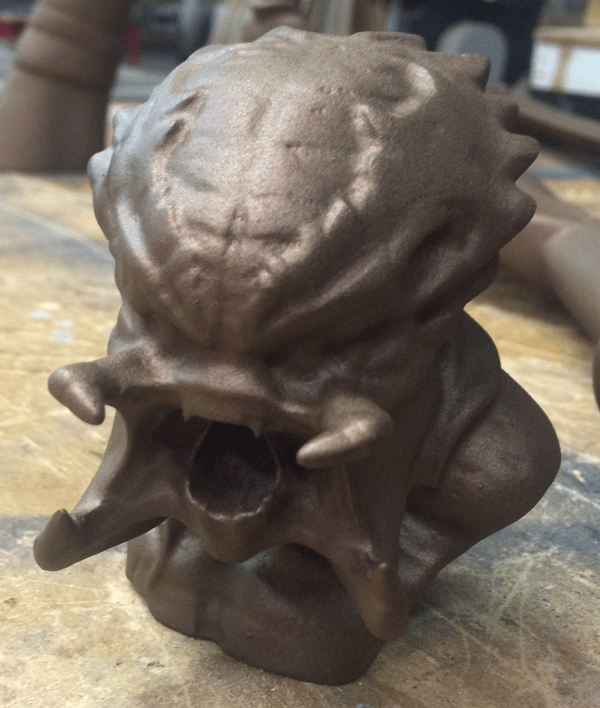 For instance this Predator bust. 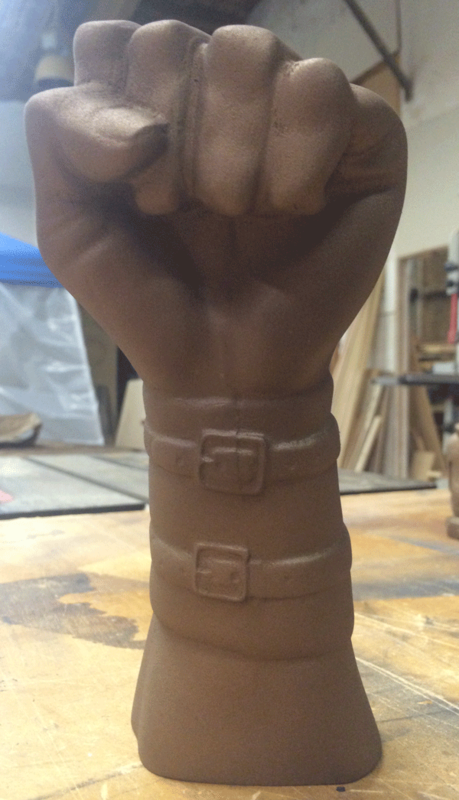 Also with our Conference poster showing a revolutionary type robot fist, we had to carve a fist too. 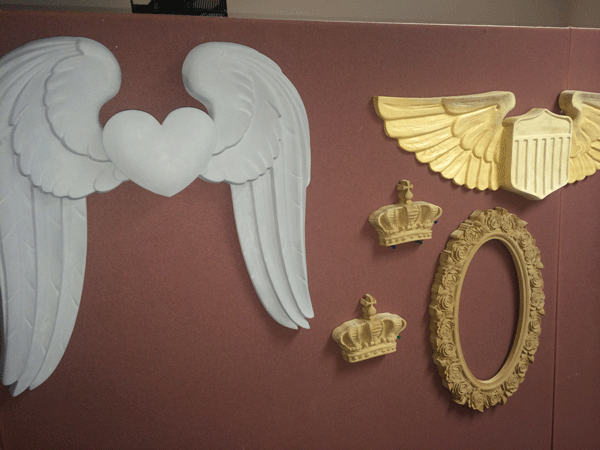 All of these have been finished with Sculpt Nouveau’s bronze paints and patina’s. Very cool products that we showed off at the Conference last year. 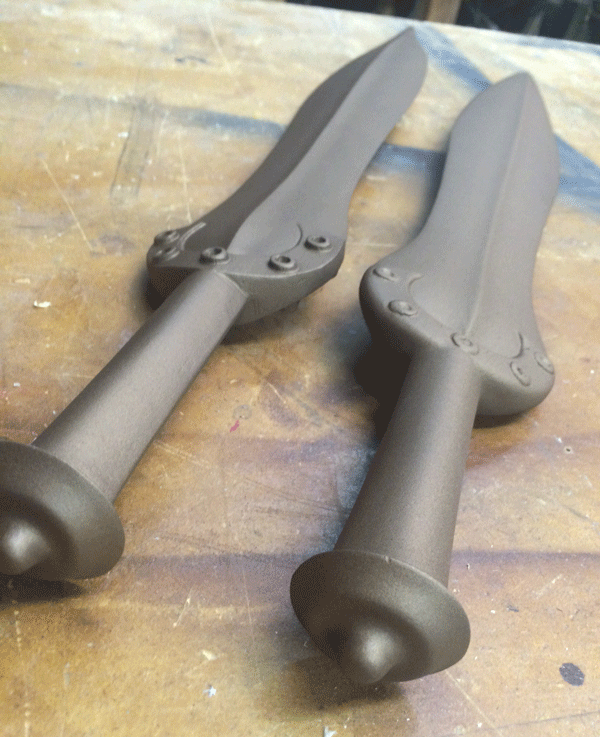 While I had the bronze paint out, I had some swords that needed some coating as well. Look like they belong in a museum! This last project has been a big challenge, but as far as signs go, this is a pretty cool one. David Jochim, one of our co-founders, wanted a fun sign for his back patio. His family spends a lot of time back there splashing in the pool and playing games. He thought it would be fun to have a carved surfboard on the wall. We began planning the project and it started to get more and more elaborate. He had replaced a redwood deck that had been falling apart, but kept the wood for carving on some day. 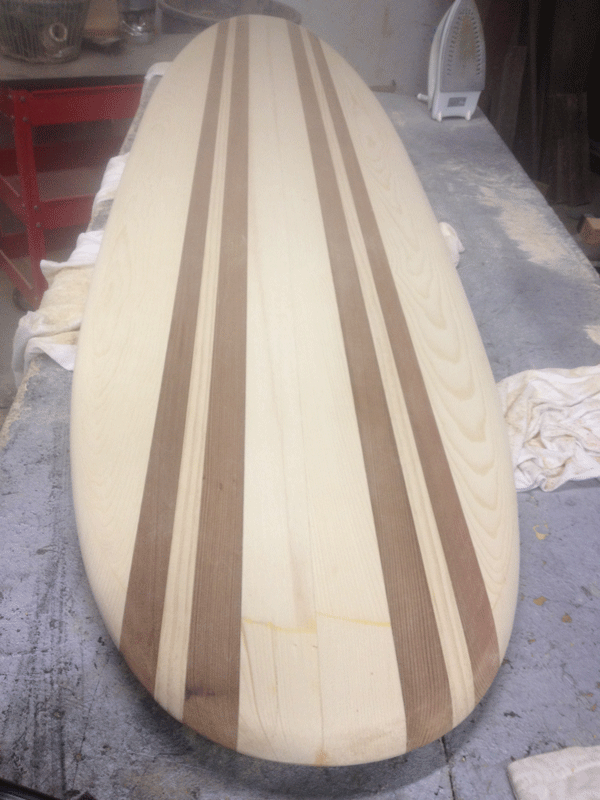 We made use of this by gluing up a large board with dark redwood stripes running through it. Then carved an actual size (8 ft) wood long board in two halves and glued them together. The results made me want to take up surfing! We designed a medallion like sign to sit on top, creating some nice dimensionality to the sign and cut out the letters from the redwood to add a really nice effect to the entire piece. There has been a ton of finishing work with this project, but it looks great and will be fun to show off at this years Conference. I’ll do an entire blog article on that project too. One last quick teaser. One of the themes of this years conference is to show off projects that will sell well in craft shows and boutique shops. 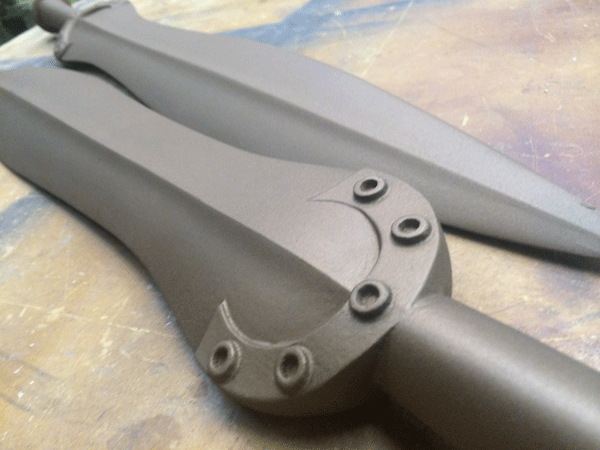 Our finishing class on the first day will show off some really cool and easy techniques for making these kinds of projects into high priced products. This is some of the pieces in an unfinished state. They have been turned over to the finishing ladies of Lollie and GiGi for them to do their magic on them. Can’t wait to see the results! 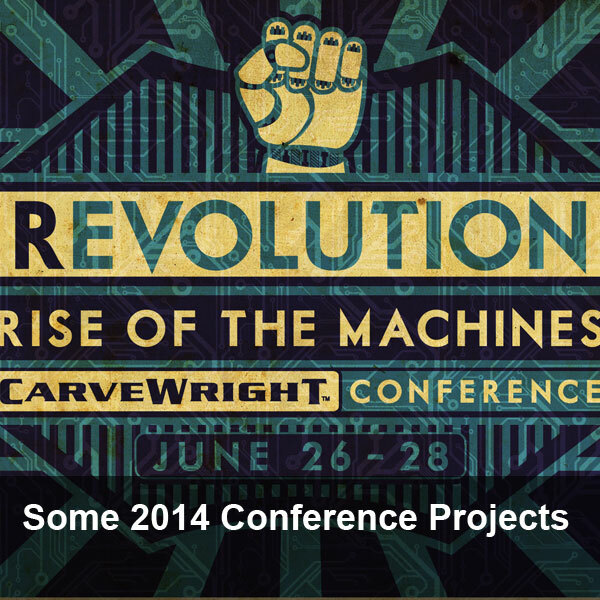 Hope to see many of you at the 2014 CarveWright Conference this year! Get signed up right away to ensure you have a seat. This entry was published on May 15, 2014 / Joe Lovchik. Posted in News. Bookmark the permalink. Everything looks fantastic, Joe! My oh my – you have been VERY busy. Excellent projects and I can\\’t wait to see them in person at the 2014 CW Conference!